Somerset in is a county based in the South Wesy of England which borders Bristol, Gloucestershire, Wiltshire, Dorset and Devon. Renowned for strong cider, Scrumpy, Somerset is a picturesque county where agriculture plays a large part of the income in this area, with other large sectors being retail, manufacturing and tourism. If you have a business and are seeking warehousing for your commercial goods then Whichwarehouse can assist in finding a suitable solution. Whether you are simply looking for storage and distribution or perhaps require additional warehouse services such as pick and pack and order fulfilment services, Whichwarehouse cane help. 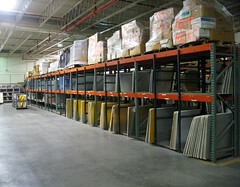 Click on the link below to search for warehouse space. Somerset houses the cities of Bath and Wells along with major towns, Western-super-Mare, Taunton, Yeovil, and Bridgewater. The M5 offers great access to the rest of the county along with a few A roads. Warehousing in Somerset can be found offering services such as pallet storage, bonded warehousing, bulk storage, order fulfilments services such as pick and pack, rework and shrink wrapping, Warehouses for lease can also be found in this area for those looking to opererate a warehouse themselves. Whatever your requirement, call a member of the Whichwarehouse team today on 0800 1707 555 to receive some non obligation quotes stating either price per pallet or price per sq ft.